I met John Taylor at my first Public Safety Writers Association Conference. He proved to me, that police officers can sometimes drink more beer than firefighters. John is full of the energy and humor that you find in people who have been willing to confront danger and evil on many occasions in their lives. He is part of the warrior class that keeps us safe. John Taylor served a tour of duty with the 1st Brigade 101 Airborne Division in Vietnam. After a thirty-one year career in law enforcement, John retired from the Oakland Police Department in 2002 and now lives in a small town in Northern California. John sent me this story about one of the things that happened to him during his time with the Oakland Police Department. It was a late afternoon in Oakland, California, and the radio dispatcher sent two officers to intervene in a bit of fisticuffs between two wannabe Mike Tysons mixing it up in a residential neighborhood. I was a 12 year veteran, but the other officer dispatched had only a year or two on and was just getting her feet wet in dealing with East Oakland's daily adventures. From all that I'd seen, this officer had a great deal of promise and had the makings of a good street cop. When I arrived on the scene, I saw the usual drama being played out: a large group of fight fans formed a circle around two ten year old pugilists, and they were cheering them on with the standard verbal pieces of boxing advice, "Use your left!" and "No, the jab, not the hook!" Well, I'd seen many of these examples of the "sweet science" over my many years, and I wasn't too concerned at the possibility of physical harm the two combatants might sustain. Maybe a bloody nose or a black eye, but nothing too serious. So, I eased out of my black and white and sauntered over to where the crowd stood urging on the bloodshed, intent on stopping the mutual combat. Then I witnessed a bizarre sight. My cover officer, the rookie female, was crouched over the circling two fighters. She had her sleeves rolled up to her elbows, and every now and then she stepped between them, admonishing the two to break their clinches and fight fair. In other words, she was refereeing this equivalent of a Little League boxing match! Alarm bells immediately rang in my head, as I perceived how her serving as a referee might be misconstrued by anyone watching her efforts. I looked into my crystal ball and imagined how the media might interpret this police action: "Two OPD officers were suspended without pay for allowing youngsters to attack one another, resulting in injuries and mental trauma." I broke into a trot and stepped into the middle of the makeshift ring to stop the fight. The surly crowd instantly turned on me for breaking up their entertainment. I pulled the female officer aside and assailed her for allowing the fight to proceed, whereby she explained her reasons for refereeing. "Look, after we break up the fight and leave, the two kids will just go back at it, and one of them might get seriously hurt. If we stay and monitor the fight, they'll eventually get tired and quit and everything will work itself out." I regarded her argument with wide-eyed astonishment at her pragmatic approach to neighborhood problem-solving, and shrugged my shoulders in reluctant agreement. She signaled for the boxing match to resume, but no sooner did the fight begin again, when the outraged mother of one of the combatants charged onto the scene, demanding that we stop the fight and shrieking at the top of her lungs that she was going to file an Internal Affairs complaint and sue the police department for us failing to take action. With the same calm tone of voice, my partner explained her reasoning and the mother's anger slowly dissipated until she nodded her head in agreement, and yet a third time the fight continued. But by now, the two kids were noticeably tired, and the once fierce battle waned until both simultaneously gave up, shook hands, and trudged wearily away. Of course the female officer's fame spread throughout the department, and she soon attained cult status as OPD's "Referee Laureate" to officiate in any future neighborhood battles. As her stock rose, her "rookie" status diminished, and she took her place as a bonified OPD veteran. John Taylor has become an accomplished writer. 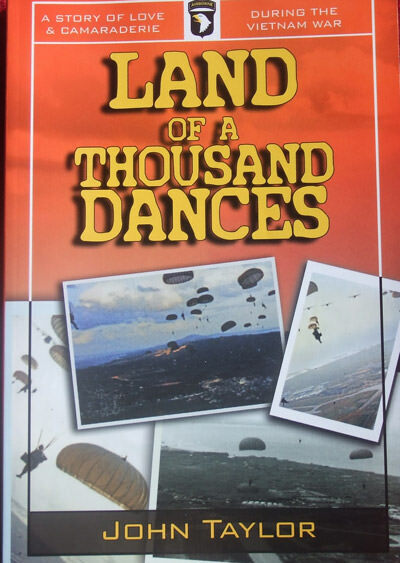 (www.oaktreebooks.com) I highly recommend his book, “Land of a Thousand Dances.” It is a fast-paced novel about a war found and a war lost. It is also about love found and love lost. Set during the Vietnam War, it is more than just another war novel.. It is the Vietnam War’s “From Here to Eternity,” only with a better storyline and style. I thank John for sharing an incident from his time on the job and thank him for his service.